Also known as Truman E. Moore, Jr. 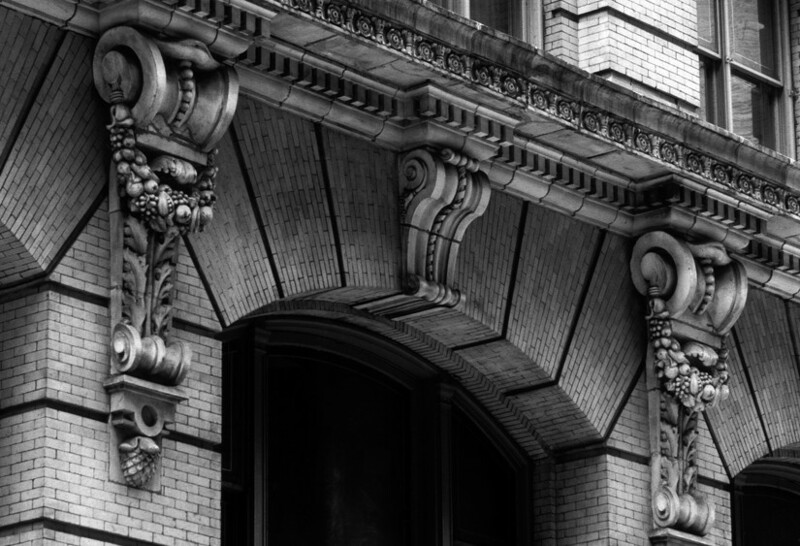 Photographer Truman Moore was instrumental in the efforts to designate the Ladies’ Mile Historic District, capturing the grandeur and beauty of the architecture with his camera to advocate for preservation of the area. Truman Moore was born in Cobb, Georgia and grew up in the Myrtle Beach area. He received a degree in journalism from the University of North Carolina in Chapel Hill, and a master’s degree in sociology at New York University.1 While living in New York he worked as a freelance photographer for Life magazine. He photographed public figures including President Eisenhower, John Updike, and Malcolm X. In addition, he focused on commercial photography and set up a studio in Midtown Manhattan. He brought his talents as a photographer into the preservation realm when he founded the advocacy group The Committee to Save the City, in an effort to seek designation for the Ladies’ Mile Historic District.2 Truman and his wife Margaret published a 64-page book entitled, End of the Road for Ladies Mile?, which contained photographs of the district’s historic charm.3 This book later received an award from the Victorian Society in America. Truman Moore was also the author of three books entitled The Traveling Man, The Slaves We Rent, and Nouveaumania. In 1994, he and his wife relocated to Charleston, South Carolina, bringing The Committee to Save the City with them. They continued their passion for preservation in the City of Charleston by sponsoring the Vision for Marion Square and the Mazyck Warggborough Garden District.4 They also composed a walking guide for the city entitled “Complete Charleston.” Truman E. Moore passed away on October 4, 2008. Truman Moore brought his talents as a photographer to the preservation movement by cataloging the Ladies' Mile Historic District through the view of his "loving lenses.”5 He and his wife played a seminal role in the designation of the district by inculcating its deterioration to the public. The Ladies’ Mile District in Midtown Manhattan served as a thriving commercial district referred to as the "champagne sparkle" of the City during the mid-1800s and into the first two decades of the 20th century.6 The name was inspired by the row of shops and stores on Sixth Avenue that served as a shopping destination for upper middle class ladies. However, business owners began to move their stores further uptown due to the economic decline during the Great Depression. The area suffered from neglect for the greater part of the 20th century. Their efforts finally paid off when the Ladies' Mile Historic district was officially designated in 1989.9 The district contains over 400 buildings on 28 city blocks. Robert Behre, “Preservationist, photographer dies,” Post and Courier, 7 October 2008. The Drive to Protect the Ladies’ Mile District, “Truman Moore,” Obituary, New York Preservation Archive Project newsletter, Spring 2009. David Dunlap, “On Ladies’ Mile, Homesteaders Amid Past Glory,” The New York Times, 5 June 1986. “Broadway North From Union Square To The Flatiron Building,” The Drive to Protect the Ladies’ Mile District. Article retrieved 22 March 2016. Nadine Brozan, “Panel Gives Ladies’ Mile Historic District Status,” The New York Times, 3 May 1989. Copyright © 2016 New York Preservation Archive Project. All rights reserved.